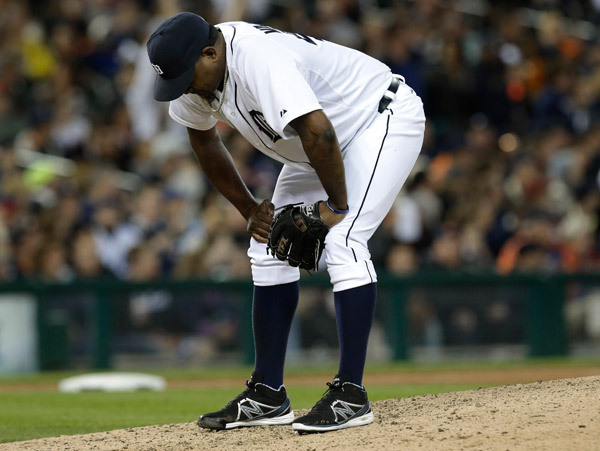 Detroit Tigers closer Jose Valverde has been designated for assignment. Valverde has struggled mightily of late and has a 5.59 ERA over 19 1/3 innings of work. He saved nine games for the Tigers in 12 opportunities and the opposition has a batting average of .237 against him. In most recent appearance on Wednesday he gave up four runs and five hits in one inning of work. The Tigers setup man Joaquin Benoit is said to be the favorite for taking over for Valverde. Benoit chose to take the high road. “People are making it a bigger thing than what it is,” Benoit said. “Our closer is struggling right now and we need to try to figure out what’s best. For now, unless a trade is made for an established closer it would appear the decision has been made as to what is best for the Tigers.